We have had some people in our community ask for a place to talk to each other in real time with chat. After looking at different possible solutions, Slack seemed like a good choice for the Aeromir community. Slack is a very popular platform for teams and communities to communicate to each other. It is cross platform and easy to use. You can use it from your desktop, tablet or phone. Joining our Slack community will also create your free Aeromir membership account. You can leave anytime. We have an options trading channel for everyone and we setup private channels for the trade alert services so subscribers can talk to each other in real time. We hope to see you in our Slack community. Fantastic free website! The latest Trading Group 1 meetings have been particularly great for suggesting trading approaches. 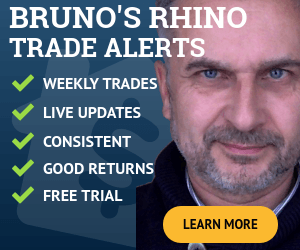 Also the Forums have been outstanding in terms of traders sharing insights into trading strategies and the pros/cons of various option software.